Asus ZenPad Tablets Arriving in Malaysia in July 2015? While that statement still leaves room for speculation, it does indicate that we’ll hear more about the ZenPad tablets from Asus Malaysia in that month. Unfortunately, the company said that there is nothing else that it can share for now. 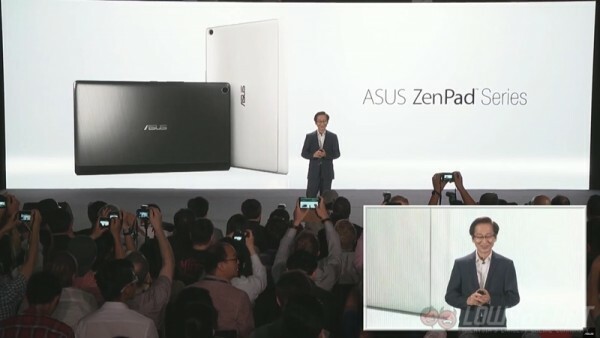 Other than that, Asus Malaysia also did not clarify just which of the ZenPad tablets will be launched on our shores. Chances are, however, the ZenPad 8.0 and ZenPad S 8.0 will make it here first. Seeing how details are still scarce on the ZenPad 7.0 and 10.1 tablets, these models may come in at a later time – though we wouldn’t dismiss the chance of them being launched simultaneously with the 8-inch models as well. In terms of specification, the ZenPad 8.0 has an 8-inch 1200 x 800 IPS display, an Intel x3-C3200 processor paired with 1GB or 2GB of RAM, a choice of 8GB or 16GB of internal storage, and an interchangeable cover design. The higher-end ZenPad S 8.0, on the other hand, has an 8-inch 2048 x 1536 IPS display, an Intel Atom Z3580 64-bit processor (the same chipset powering the top-of-the-line Asus ZenFone 2), and 4GB of RAM. It can also be used with the optional Z Stylus that supports up to 1024 levels of pressure and battery life of up to 150 hours. 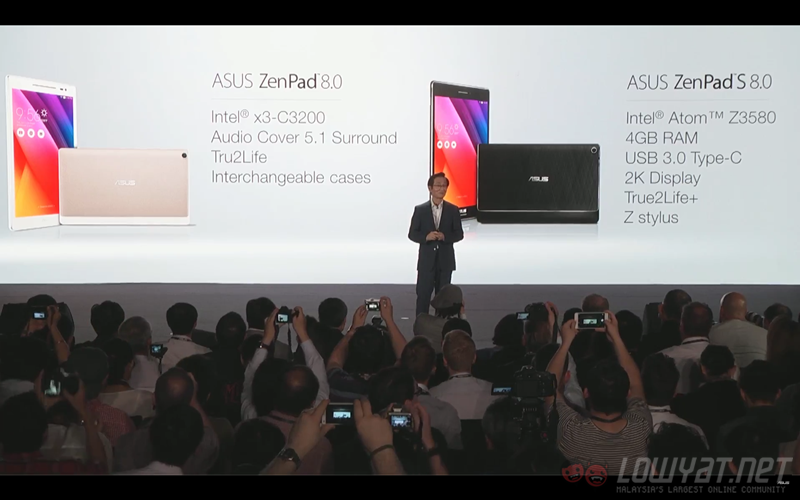 As for local pricing and actual availability of the ZenPad tablets, Asus Malaysia has yet to share these information. We should learn more as we approach closer to the month of July.